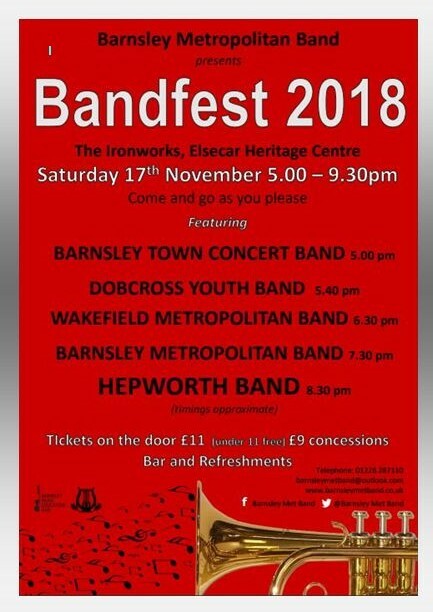 Each year since 1996 the band has organised a non competitive festival of band music at Elsecar Heritage Centre. A number of bands perform entertaining programmes of music from 5.00 - 9.30pm. The audience choose informal cabaret or formal concert seating and come and go as they please during the evening. Light suppers and a bar are available throughout the evening. 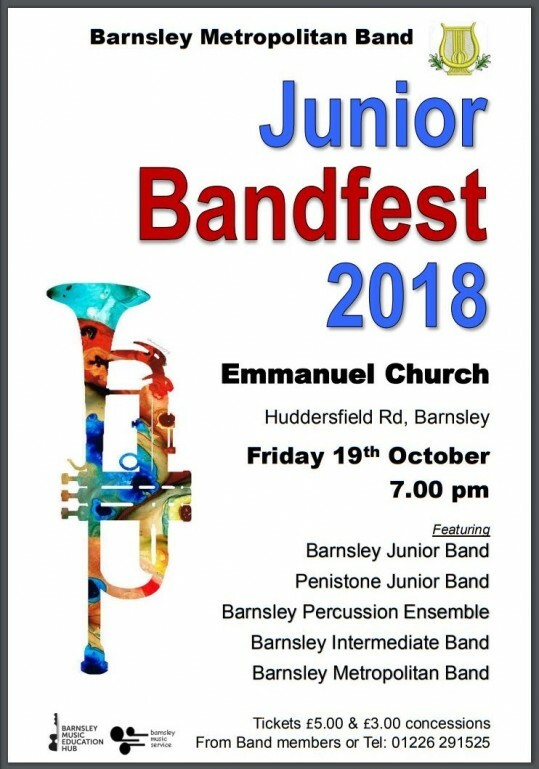 A junior Bandfest takes place in the weeks prior to this event. The next Bandfest is expected to take place on 28 March 2020 - rather than in its usual November slot. The names of participating bands will be announced at a later date.